I just wrapped up my 12th month of blogging with my part-time lifestyle blog and while the blogging niche isn’t my main focus, I still wanted to share what I’ve been doing and how I earned over $2,500 this past year for September 2018 in hope of helping others. Starting a lifestyle blog is one of the best decisions I’ve ever made, it’s let me work from home and helps to give me life flexibility with my family. While some bloggers can focus on one topic (and possibly have an easier time monetizing), I simply have too many interests and started this blog by basically writing about ALL of our interests. If you read my August 2018 income report, you might remember that I made over $1500. I was SO excited about that because I honestly wondered last spring if I’d ever make decent money from starting a blog. And now just one month later, I was surprised to make over $2500! Why the big jump in income? I truly couldn’t believe that between just August and September my earnings jumped over $1000. The funny thing about blogging is that the upfront time, effort, sweat and tears you put in, can start paying off BIG TIME months down the road–but unfortunately, many bloggers quit before they get to see that. Why am I even writing an income report? If you’ve been thinking about starting a blog but aren’t sure if it’s REALLY possible to make money blogging with a lifestyle or mom blog, I wrote this post for you! You generally just see income reports from bloggers in the blogging niche, and while there ARE interesting to read, I thought seeing an income report from someone in a multi-niche lifestyle blog would help people more. Two major things happened in month 12 I didn’t expect and that I’m super excited about!
? I found out that my eBook Tribes for Traffic was added to Genius Bloggers Toolkit 2018. To get included in GBTK along with some of my blogging role models and long-time successful bloggers was very surprising and humbling experience.
? We landed our first brand deal! After applying for months with zero results, to find out the same day as GBTK that I was accepted for a $500 social media campaign honestly brought me to tears. After feeling like I was spinning my wheels on this for so many months, to finally get approved for a sponsored campaign was HUGE. One of the biggest reasons I was able to monetize and grow quickly was because I treated the blog as a business and invested money back into myself. Even when I wasn’t making money, I skimped on our family budget to find the extra money to buy the tools and resources I needed to grow and monetize as fast as possible. There is such an enormous learning curve to blogging, going straight to the experts about a certain topic you need to master is the EASIEST way to get ahead in your business. Here’s a list of my favorite resources for new bloggers! Blogging “through” Pinterest to quickly get website traffic is how I was able to grow and monetize a lifestyle blog so quickly. Here’s my recommendations on how you can get started with Pinterest, in addition to advanced Pinterest help! ✔️ Pinteresting Strategies – by Carly Campbell, UPDATED & TURNED INTO A COURSE! You can get the super low ebook price for Carly’s new course JUST until 10/29! ✔️ Tailwind – You can try their popular scheduler for free 1 month with my link. In addition to using their popular scheduler, I also love Tailwind Tribes and Tailwind SmartLoop. ✔️ Making Sense of Affiliate Marketing – This is the most popular beginner’s resource to affiliate marketing out there! In addition to being a solid course, one of the best parts of owning it, is being part of Michele’s private affiliate marketing Facebook Group. It’s hands down one of my favorite blogging groups! One thing I love about this course is that Michele is CONSTANTLY updating her course, her blogging group is invaluable and her Tailwind Tribe is AWESOME too! ✔️Affiliate Marketing for Bloggers – (Intermediate Level!) by Carly Campbell. This is my favorite affiliate marketing resource if you already know the basics and are ready to learn intermediate to advanced affiliate marketing strategies! I LOVE that Carly uses examples from her mom blog posts and this course also includes tons of tips on doing well with Amazon affiliate marketing. ✔️ Traffic Transformation by Lena Gott– 21 Strategies Lena used to grow her blog from 17K to 400K+ in 10 months! What I love about Lena’s book is it tells you what you need to do to increase traffic in other ways BESIDES Pinterest! Her 45 minute SEO video training is worth the price alone. My Google search engine traffic had a big jump the same week I implemented some of Lena’s tips. ✔️ Billionaire Blog Club – Getting rebranded as Dare to Conquer – A comprehensive resource for not only intermediate to advanced Pinterest marketing but also SEO, figuring out what you even WANT your business to be about, a cool Slack community, affiliate marketing, email marketing, etc etc etc lol. It’s an all-encompassing resource that Scrivs “sometimes has open” without advertising, and other times isn’t open. While I wouldn’t typically say one blogger “knows it all,” the fact Scrivs has started over 17 blogs in random different niches and makes over $70K/month might make him the exception. Is teaching style is NOT for everyone! He’s extremely direct and often has a potty mouth. Reflecting upon our first year of blogging, I want to share what’s worked, what hasn’t and what I’d want new bloggers to know as they work towards getting blog traffic and monetizing. 1 It’s harder than I thought it would be. When you hear about bloggers making $5K-$10K/month and only working 2 hours per day, that’s because they busted their tush in the early years in the growth phase and years later are now enjoying the maintenance phase. I’m still in the growth phase, which means working on blogging every spare chance I have. 2. Having a blogging support community is very important. Being able to talk to others who understand the challenges of blogging that others simply don’t. Plus, they can help steer you in the right direction when you need help and give you feedback on your website, freebies, and products. MOST free blogging Facebook groups can’t give the level of support I’m talking about. Being part of a paid community of like-minded bloggers is probably what kept me from quitting many months ago! ** My FAVORITE community is The Society of Women Winning Online, my second favorite is BBC. 3. Investing in your education and business. Again, treating myself like a business and investing money to get expert help in areas I knew nothing about, helped me grow so much faster! 4. Having your own business isn’t always as fun as it sounds! Getting your own business off the ground is NOT easy. This sometimes means you feel like you’re working around the clock, cutting into social time, giving up hobbies, replacing movies with blogging courses and replacing a good book with a blogging ebook. 5. Master one big thing before moving on to the next. You truly have to master something to excel at it, if you spread yourself too thin and try to learn everything at once, you’ll either burn out or you won’t understand a topic as in depth as needed to excel. This is why I have almost 5K Pinterest followers but a tiny following on Facebook, Instagram, and Twitter–because I mastered Pinterest and am just now starting to work on other areas. 6. 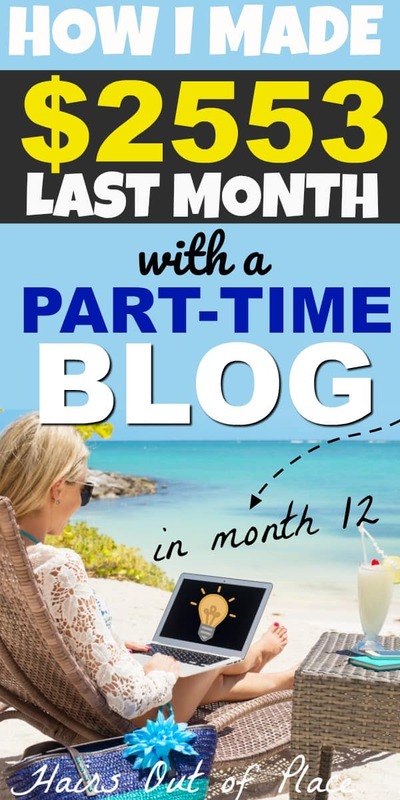 Think of blogging as semi-passive income. Unlike other business models that require you to invest thousands and thousands in inventory and start-up costs, blogging relatively doesn’t cost very much. But in exchange for that, is your TIME. By putting in countless hours upfront, you’re making an income source for your FUTURE. Pretty awesome! 7. The slow and steady path is what’s realistic, not the rapid success stories that are few and far between. When you read stories about bloggers making $3000K/mo in 3 months or $5K/mo in one year, it’s easy to be fooled into thinking this is NORMAL. Trust me, it’s not. There is NOT a magic formula to blogging other than putting your nose to the grind and working hard. Many of these rapid start cases were from people who already had experience with a different online business. 8. It’s normal to want to quit. When you own your own business, there WILL be ups and downs! Just remind yourself on your WHY, whether it be to retire early, stay home with your kids, quit your day job, pay off your house or make extra money to travel. 9. The blogging niche isn’t as great as it sounds. You’d think that only blogging niche bloggers make money, this isn’t true at all! That niche is totally oversaturated since there’s a false sense of that’s the only way to make money online. More on this below, but it’s because their niche REQUIRES that they talk about money and successes to earn money, whereas others don’t NEED to for their niche so you never hear from them. 10. Asking WHY. Always trying to understand why your pins aren’t getting clicks, or why your opt-ins aren’t converting or why your affiliate links aren’t making sales is critical to blogging success. 11. Use what you learn from others as a STARTING POINT. Again, there’s no magic formula for blogging, use the information you learn from others as a starting point and then tweak your strategy based on your own niche, readers, and content. 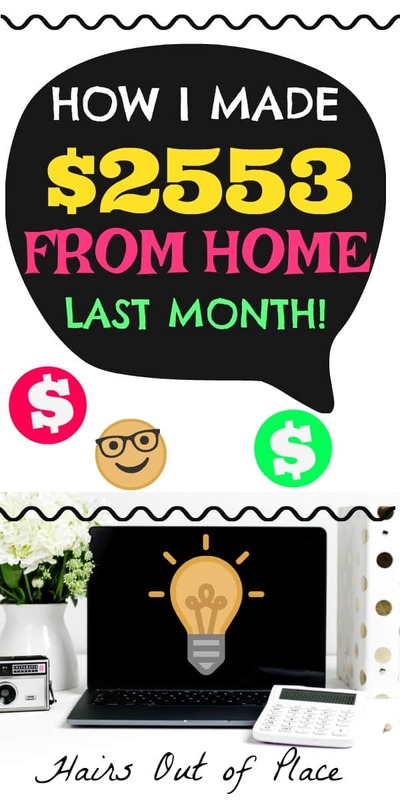 If you are PASSIONATE about your blog and want to create a profitable business more than anything, YES it can turn your blog into a good monthly income! Please post below if you have any questions about anything blogging related! Hi Jen & Madi! This is all so incredible! We love hearing success stories from our publishers. Thank you so much for sharing your Mediavine earnings in your income report and congratulations on your amazing growth! Congrats! What a huge accomplishment and thanks for sharing some of the details around how you got there. Thank you so much for this post. I love it when people tell a real story instead of selling you the same old stuff. Very appreciated. I love hearing that you were able to monetize within the first year! Thanks for the report. Love your income report! It’s very realistic. I remember seeing the “I made 7k my second-month blogging” ones and like you said, that’s just not going to happen for someone who is brand new to the online marketing/blogging world. I’m on month 5 of my blogging journey and realized I need to follow your tip #12: Make time for your loved ones! It’s so easy to get caught up blogging and creating that you JUST want to do that 24/7 (eye roll). I always remind myself its a marathon, not a sprint. Anyways, keep up the good work! !